This is a game that I’ve owned for maybe 5-6 years at this point. It’s certainly been a very long time and I had played it off and on for a few years. Finally, I decided to crack down on it and complete the game once and for all about a month ago. After many races, I finally did manage to take the game down. I can safely say that it’s not perfect and some areas do hurt it, but as a racing game, it is very good. The plot involves a new racer in town. This is the guy that you play as and he’s ready to move up the ranks. One of the ladies involved in the scene helps to get you ready and gives you intel about the other racers as you move up the ranks. You must become the best racer in every type of race to get to the end. After a lot of races, you are ready to fight the big boss. The main villain is someone who has plagued you for some time so you’ve been waiting for this. There is actually a secret final boss where a mysterious racer shows up and challenges you. The twist of who is inside it is slightly expected as there weren’t many characters in the game, but it’s still pretty neat. It’ll remind you of the final F Zero GX level. First off, I have to criticize Story Mode. There are 118 levels in the game. That’s a whole lot of levels and while it is always good for a game not to be too short, this is simply overdone. It took me a grand total of 609 races to complete the 118 levels. If they were 118 original levels, that’s one thing, but most of the time you will be racing on the exact same tracks. Over and over again. I wouldn’t be surprised if there were only about 20 tracks given how often it would be the same ones. Sometimes they would be mirrored to try and trick you, but I count that as the same stage. 118 levels is definitely too much if you ask me. The levels are also decently challenging so just around 40-50 would have still made for a decently long game. Again, it took 609 tries for 118 levels, which shows you just how tricky these levels can be. Sometimes I would have to try a level about 30 times and would only end up winning because my opponent would crash and I would take the chance to leap to victory. I did enjoy that part though as a lot of racing games just make the A.I. completely perfect so they never crash into anything. It’s safe to say that this is more realistic as nobody should be able to navigate these levels without crashing or at least banging into the side rails. Finally, my other negative would be the soundtrack and it’s actually significant enough to take away an entire star. It’s just downright terrible and they’re going for an underground feel. As such, most of the music isn’t enjoyable to listen too and I’m pretty sure that they’re not very appropriate. That being said, the lyrics are hard to hear since the singers are fairly bad and I ended up just turning the music off for most of the races so I would just hear the sound effects. Trust me, it’s not nearly as fun and it’s sad that I had to go that far. Otherwise, the game is great as a racing title. The actual gameplay is a lot of fun and while there is a slight nitro boost, you’re essentially playing a normal racing game for the most part. That was a lot of fun and the controls are much smoother than Hot Pursuit 2’s. I can see the gameplay getting even better with the newer additions and this is the main reason as to how I could stick with the game throughout so many races. They would get tough as times and I would have to replay levels, but the gameplay was fun enough that I didn’t mind as much as I could have. I only learned about the power braking towards the end though, which is too bad since it would have been very helpful in a lot of the drift levels. There is a lot of customizing to be done here and it’s typically required to upgrade your car every 20 levels or so. By the time that you are done, your car will be maxed out in just about everything and you’ll be moving at really high speeds. It’s a double edged sword of course as it can be easy to crash and instead of going with the best car, you may want to consider a slower model. I tried that for a while, but then I remembered that I love to go fast so I used the fastest car for the final levels. I’d say that it’s worth it unless the level has a lot of sharp turns. The graphics are decently good. I definitely like how the levels look as well as the cars. The human designs are the ones that do tend to look a little iffy as they are pretty undetailed, but I suppose that most of the time working on this game was spent on the environments and cars. That would make a lot of sense so it’s all right that the humans don’t look great. The graphics aren’t perfect, but they get the job done and you can typically see the levels clearly although the overall game is pretty dark so you may need to increase the lighting. This game was quite the adventure and I’ll definitely be enjoying a nice break from it. 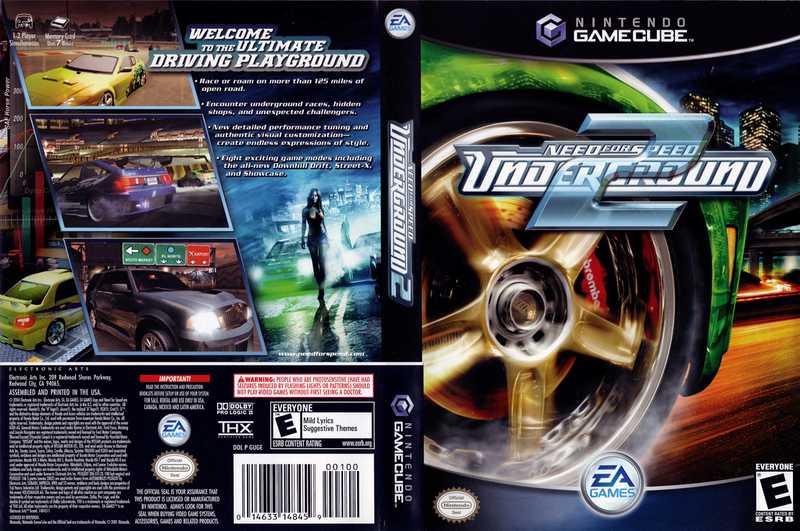 Once I’m ready to get back in the saddle again, I’ll buy Underground 2. The only problem is that I’ve heard that it has over 200 levels this time. That sounds even more extreme and I can’t say that I’m too enthusiastic about that, but I want to make it to the newer games already so I shall power through it. 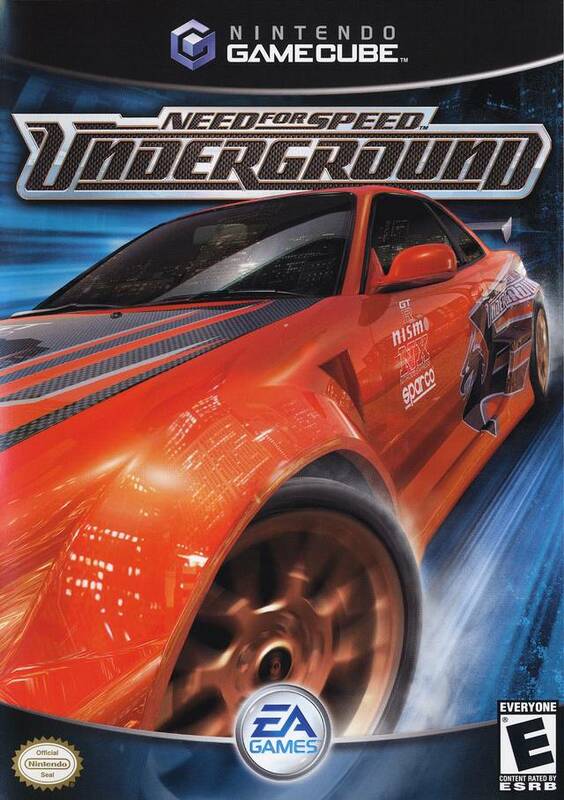 Overall, Need For Speed Underground has improved from Hot Pursuit 2. The gameplay is great and that would have usually been enough to have given the game an 8 star rating. The soundtrack held it back along with the tedious story mode. Seriously, no game should take you over 600 races to complete. That’s simply overdone. The difficulty level was good as it was tough to complete the game, but not overly difficult where you will be wondering how the A.I. can move so fast. Some of the levels were a tad long though and I think that they should all be 3 laps at the most instead of 5-6. Let me tell you, replaying a 6 lap race more than once is no picnic. I definitely recommend getting this game if you are looking for a good racing experience, just have your MP3 player by your side during the races. There are some brief cutscenes which is cool, but there aren’t many of them. It was finally time to watch a film based off of a popular video game series! 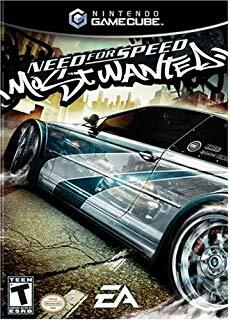 I own several Need for Speed titles although I’ve only completed one of them so far. I plan on working on the others soon, but I’ve been focusing on my Wii collection a lot. The trailer for this film looked decent and I expected your average blockbuster with a lot of action and a small plot on the side. I basically got what I expected, but I would say that it was a little less entertaining than I would have guessed. Let’s see why this happened! I believe that one factor is the cast of characters in the film. None of them are really that interesting or likable. Typically, you need either the main character or the main villain to be interesting to keep the film afloat. The supporting characters definitely play a big role in this as well, but none of them turn out to be very good. I’ll discuss each of the main characters now. Tobey is the main character and after a tricky race where his bro dies, he decides to avenge him by racing in another race against the murderer. A noble goal, but I could not bring myself to like Tobey. Even before the Pete incident, Tobey never really talks and he always seems pretty gruff. Whenever he talks, it’s hard to hear him because he’s basically mumbling. He also gives Julia a hard time for the majority of the film. He does have emotional reasons to keep to himself of course, but it’s not very fun for the viewer. I found myself missing Alex Hopper from Battleship and that’s never a good thing. Another problem is that Tobey’s supposed to be an elite driver. He does do pretty well on the track, but it’s a mix of luck and skill. At one point, he’s in the lead, but he seems to be taking it easy. The racer in third is only unable to pass him because the second place racer is holding him back. They have identical cars so Tobey should have been able to win without help. In the end, Tobey just wasn’t charismatic. Dino is the main villain of the film. He has quite the reputation since the heroes don’t want to work with him from the get go. It actually makes them all look pretty bad for a while since the deal seemed to be pretty good. Of course, Dino quickly showed his true colors during the race. He only cares about the win and he’ll smash anyone out of his way. That’s basically his character arc. I thought that he was the leader of a mob or something, but he’s just a mean person. He’s pretty rich and he is a good driver, but not as good as he claims. Dino’s a pretty generic villain, but at least he has a cool car. He needs to win one more race to get all the money that he needs..but will he be able to do it? It’s going to be rough! Julia is the main heroine and she knows how to drive, which is always a good thing. Her accent is always underestimated since the others seem to think that it is fake, but she always gets them to see the truth. She does have a really generic moment where she shows that she’s actually an expert in car manufacturing. Why was she pretending not to be smart before that scene? I guess she just wanted to mess with the heroes. Her plan was a little tricky since I definitely wouldn’t trust Tobey and friends to make it through their adventure in one piece. She definitely ends up helping out a lot, but her riches could be better spent at home with her PS4. Benny easily has the biggest role from all of Tobey’s partners. He gives them a tough time because they refuse to call him by his true airborne name. (Maverick) He definitely takes the most risks as he has to keep stealing Helicopters from various places. The military, the news, etc. How does he get away with it? Plot convenience I suppose. He’s definitely a step up from the other members. Monarch is the head honcho behind the underground races. He talks a good game and he seems to know what’s up. He’s an expert on the cars and he always calls the shots. He takes everything in stride because he’s never really in any danger. The cops have yet to find out about his show and nobody can find him. He just hosts the races and watches as everyone is taken out. He’s a pretty amusing announcer. Anita is a character that the film seemed to forget after a while. Based off of one of the first scenes, it was easy to imagine that she would have some kind of role. Instead, her character arc is shoved to the side and she’s basically written out of the movie. She appears towards the end for her big moment, but it’s a little too little too late. Not to mention that she really should have been a little more suspicious about the mysterious circumstances around Pete’s demise. Finn is another member of Tobey’s crew and he’s easily the worst character in the film. His scenes are downright cringe worthy. His worst scene is when he decides to quite his job. To do this, he strips down and makes sure to humiliate anyone. Where are the cops? The place looks like a very fancy establishment and I’m sure that security would be present. They should have taken him down before he even had time to leave the building. That’s really what should have happened. Finn doesn’t add anything to the plot and his attempts at humor really fall flat. He definitely didn’t do the film any favors. Joe’s probably the most bland member of the team. He doesn’t really get a lot of character development. He’s the first guy to go and help Tobey so that’s something. He was really just there and I can’t say that he was a good character or a bad one. Things wouldn’t have really changed if he had not been in the film since his role was so small. Better to be non existent than to be another Finn I suppose. You can definitely see that I did not care for the cast. Another factor that weakens them is the fact that they act like the characters from a horror film. They constantly use swear words in just about every sentence. It’s mostly because of where they’re from and they’re just used to it, but it can still be pretty annoying to hear. You hear it almost every second….nooooo. Another weak point of the film is the acting and the romance. I never really comment on the acting, but it was pretty bad. Particularly Tobey’s acting and Julia’s at some points. Let’s throw Finn in there as well. The romance was also pretty unnecessary. It pops up out of nowhere between Tobey and Julia. I guess she admires his racing skills, but that’s no excuse to just fall for him. We have a really wince worthy scene where they both stare at each other for a really long time and you’ll want to glance at your watch. There’s also a really terrible scene between Finn and one of his co-workers. That kind of thing is not funny and not realistic either. The other members of the staff should have stepped in or at least beat Finn up. The car chase scenes were still pretty good. There was a bunch of plot hax in them though. I don’t believe that they would be beating up on the police like this. At the very least, they would be arrested as soon as they stopped. They were visually interesting though and who doesn’t like to see cars going at such speeds? The games handle it in a much better way, but a film can only do so much anyway. As mentioned earlier, the helicopter snagging is a really big stretch for disbelief. The cops should have known about it pretty much instantly. One more thing that should be noted the racing through traffic scenes. Of course, it happens in the games so it must happen in the film. It still doesn’t make all that much sense while you’re watching it though because the heroes should have been down for the count several times. You simply can’t weave through traffic like that and not get bumped or hit a bunch of times. They were a little too lucky here. The soundtrack is really nonexistent, which is too bad. Car scenes should really have a good theme going. Just look at Final Fantasy VII Advent Children. The chase scenes have really good themes and it helps you appreciate just how cool they are. A soundtrack is always something that should be added to make things fun. Overall, This film was decent I suppose. It’s not the kind of film that I would ever want to watch again, but I wouldn’t call it a downright bad film. 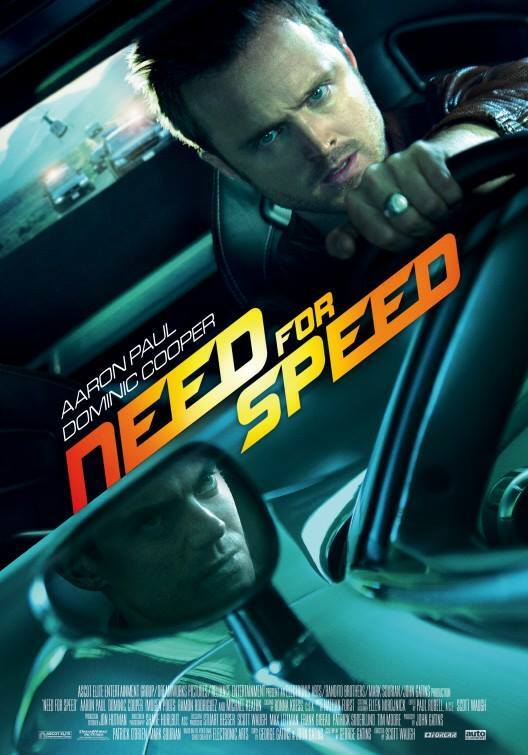 Considering the type of film that it was, Need For Speed should have been a lot better. Using some effects from Speed Racer may have helped since that one had better race scenes. A 5 may be a little generous, but I think it’s a decent rating for a film. I don’t really recommend it, but I wouldn’t stand in the way of it either. If you don’t mind the language and you’re ready to see some races, then you may not mind the film. Just know that the film drags on for a while since it’s so long and that the characters are pretty unlikable. With that in mind, it’s your choice on whether you want to see this one. I would sooner recommend Speed Racer or Final Fantasy VII Advent Children for chase scenes!